Today Apple announced two new iPhone models – the iPhone 6 and the larger iPhone 6 Plus – as well as the brand new Apple Watch. In this article you’re going to find out more about what’s new in these devices, and what improvements have been made to the iPhone camera features. The new iPhones are larger than their iPhone 5 predecessors, with a thinner and more streamlined body. The iPhone 6 has a 4.7 inch screen (larger than the 4 inch screen of the iPhone 5) and the body is 6.9mm thick. The iPhone 6 Plus has a 5.5 inch screen and is 7.1mm thick. The iPhone 6 has a 1334 x 750 pixel resolution which works out at 326 ppi (pixels per inch) – the same as the iPhone 5. The Plus model packs in more pixels with a 1920 x 1080 pixel resolution at 401 ppi. As well as bigger displays, they are also better, with higher contrast and dual‑domain pixels for more accurate color at wider viewing angles. On both models the glass front curves around the side to meet the aluminum back, giving them a smooth, seamless new feel. They will be available in the same colors as the iPhone 5s: gold, silver and space gray. Both models are now available in a new, bigger 128GB capacity. They are also available in 16GB and 64GB. 32GB is no longer an option. The volume buttons are now elongated with a thinner profile. And the Sleep/Wake button has been moved to the side of the phone to make it easier to reach. Both iPhones have a fingerprint Touch ID sensor built into the Home button. Battery life has been much improved. The iPhone 6 battery lasts up to 14 hours talk time (compared to 10 hours on the iPhone 5) and the Plus model boasts an amazing 24 hours talk time. As well as being larger, they are also more powerful with a new A8 chip with 64-bit architecture. This chip is faster yet up to 50% more efficient than the previous A7 chip. They also have a new M8 motion coprocessor which gathers data when you’re in motion from a host of advanced sensors including a new barometer which can detect elevation. This will be great for the new fitness apps coming in iOS 8 as well as helping with image stabilization in the camera. Other new features include faster LTE a payment system called Apple Pay which lets you pay with your iPhone in stores and online, and wi-fi calling which lets you make phone calls over wi-fi when your phone signal is poor. But finally, what about the new camera features? Let’s take a look at what’s new below. Many predicted that Apple would update the 8 megapixel camera to 10 or 13 megapixels. But as I mentioned last week, Apple is more concerned with the quality of the camera and sensor than the number of pixels. And they’ve stuck to their guns, keeping the front iSight camera at 8 megapixels. Whether this was a wise move is yet to be seen. I can’t help wondering if people will have expected more megapixels this time around. It was also widely speculated that the camera would include a wider aperture, but no… they’ve stuck to the same f/2.2 aperture as the iPhone 5s. In fact, when you compare the technical specifications of the iPhone 6 to the iPhone 5s, they look virtually the same! So what improvements have actually been made?  Well the iPhone 6 and 6 Plus have a brand new sensor with “Focus Pixels” technology. This is a phase-detection autofocus system, similar to that used by DSLR cameras. Basically, it means that the camera can focus much faster than before. The auto image stabilization introduced in the 5s is included on both new models. This helps eliminate motion blur caused by shaky hands by taking four photos with a different exposure time. The best parts of those photos are then combined into one image with as little digital noise and subject motion as possible. However, the iPhone 6 Plus model now also includes optical image stabilization. This technology works with the new A8 chip, gyroscope, and M8 motion coprocessor to measure motion data. This data is then used to provide precise lens movement to compensate for hand shake in lower light. The lens can move up and down, and left and right. This integration of hardware and software should deliver better, sharper photos in low-light with the iPhone 6 Plus model. The sensor in both phones also has improved face detection and exposure control. The Pano mode now lets you take higher resolution panoramic photos at up to 43 megapixels, with smoother image joins. 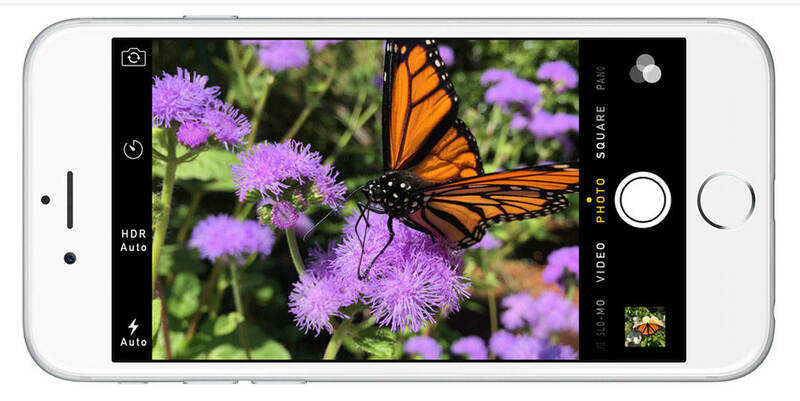 The Slo-Mo (slow motion) video mode introduced in the 5s is available in both models, with the option of capturing video at 240 fps (frames per second) which is double that of the 5s. Time lapse video will be included in the native camera app, although this will also be available on older iPhone models when updated to the new iOS 8. There will be HD 1080p video recording at 30fps, or now 60fps as well. Video recording will also feature video stabilization and continuous autofocus. The Front FaceTime camera has had some improvements with a wider f/2.2 lens aperture and improved sensor technology which captures over 80% more light. It also has improved face detection, manual exposure control and burst mode so you can take great selfies if that’s your thing! Prices for the iPhone 6 on a two year contract will start at $199 for the 16GB model, $299 for 64GB and $399 for 128GB. Add $100 onto each of those prices for the iPhone 6 Plus. Pre-orders start on September 12 and Apple will begin shipping the devices September 19. Both new iPhones will come pre-installed with the new iOS 8. If you’re not upgrading your phone, you can still update your current iPhone to iOS 8 for free as of September 17. We’ll cover iOS 8 in more detail then. 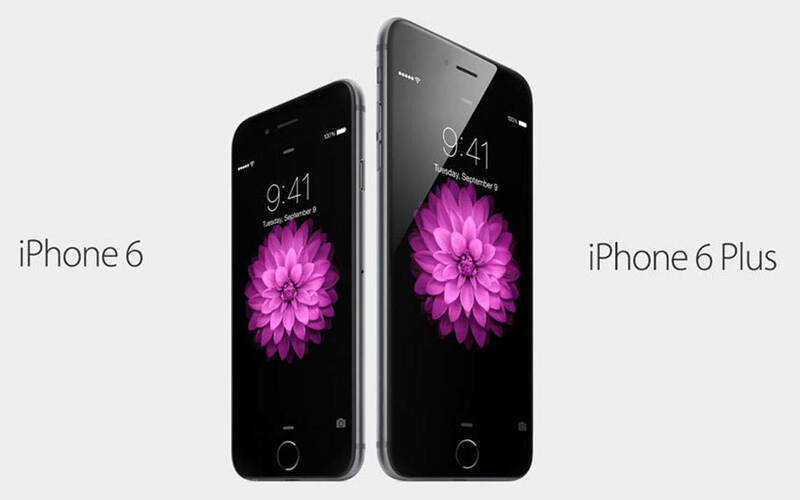 For lots more information on the new iPhone 6 and iPhone 6 Plus, visit the Apple website. You can also find information about the iPhone Watch there too.